Full HD (Sorry, no SD version). All the wallpapers are the work of Sarah Pierce (Flickr: http://www.flickr.com/photos/81740326@N05/) and were only edited to fit 1920×1080 resolution by the author of this theme. 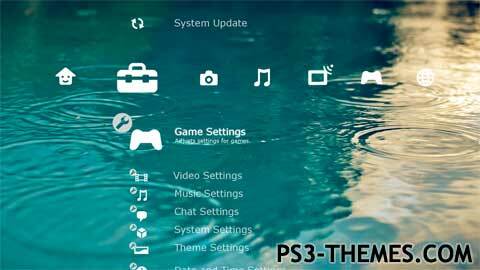 This theme was posted by PS3 Themes on December 17, 2013 at 4:34 pm, and is filed under Animals/Nature.You can leave a response or trackback from your own site.